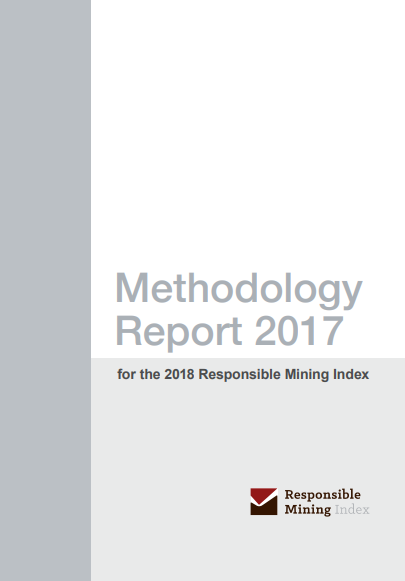 string(1101) "Resource Centre > Uncategorized > 2018 Responsible Mining Index – Summary Report"
This first Index, RMI 2018, covers 30 companies from 16 home countries, including publicly-listed, state-owned and private companies. These companies operate more than 850 sites in over 40 producing countries, and the assessment covers most mined commodities, excluding oil and gas. 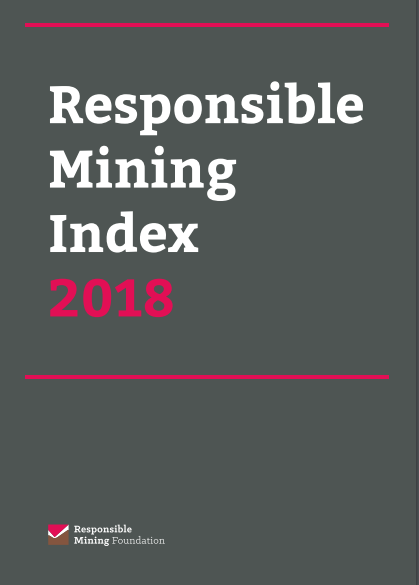 The Index focuses largely on company-wide behaviour, while also looking at site-level actions at 127 mine sites, in order to provide a snapshot of information disaggregated to the level of individual mining operations. The RMI assessment is based on publicly available information on these companies and mine sites. As an evidence-based assessment, the Index measures the extent to which companies can demonstrate, rather than simply claim, that they have established responsible policies and practices. Over recent decades, many large-scale mining companies have shown significant improvements in how they manage EESG issues, as evidenced by the introduction of innovative practices and the engagement with partners and multi-stakeholder initiatives on responsible mining. Yet the RMI results indicate that it is still hard to find evidence of systematic, effective action at any one company on the range of topics that society can reasonably expect companies to address. Although the individual company results indicate that much more can be achieved, the positive message is that it can be done. The RMI 2018 results show that if one company were to attain all the highest scores achieved for every indicator, it would reach over 70% of the maximum achievable score. This implies that existing best practice, if systematically applied by all companies, could already go some way to meeting society expectations. Many companies have demonstrated that they are establishing responsible policies and practices on particular issues. The fact that 19 of the 30 assessed companies show up at least once among the stronger performers in RMI’s different thematic areas, also indicates that performance does not necessarily depend on company size, commodity focus, or geographic location. 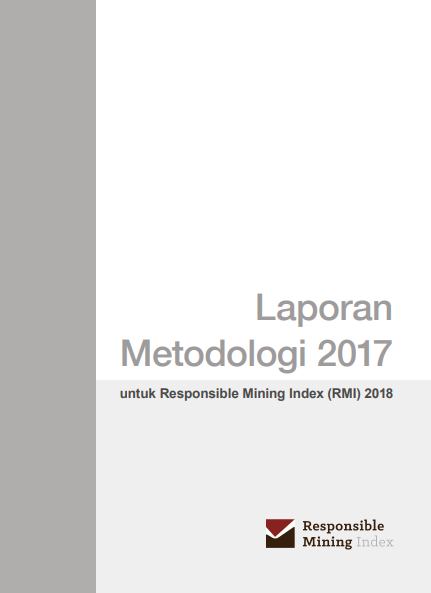 RMI commends the thoughtful and innovative approaches to leading practice, and the efforts of many companies to address the range of economic, environmental, social and governance issues covered in this report. 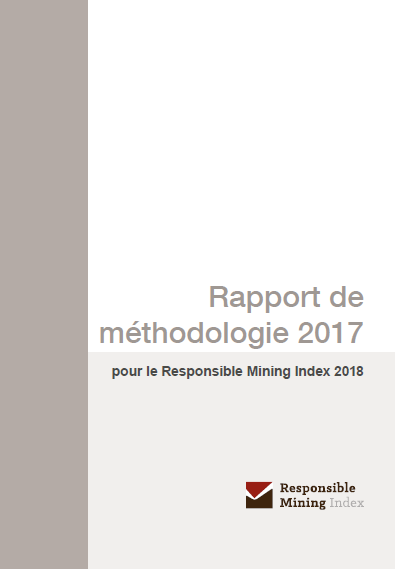 The intention is that this report will provide learning and inspiration for more companies to follow responsible practice, and encourage the companies in the 2018 Responsible Mining Index to maintain their efforts on continuous improvement. The Foundation supports the principle that mining should benefit the economies, improve the lives of peoples, and respect the environments of producing countries, particularly in some of the world’s poorest regions, while ensuring that mining companies benefit in a fair and viable way.